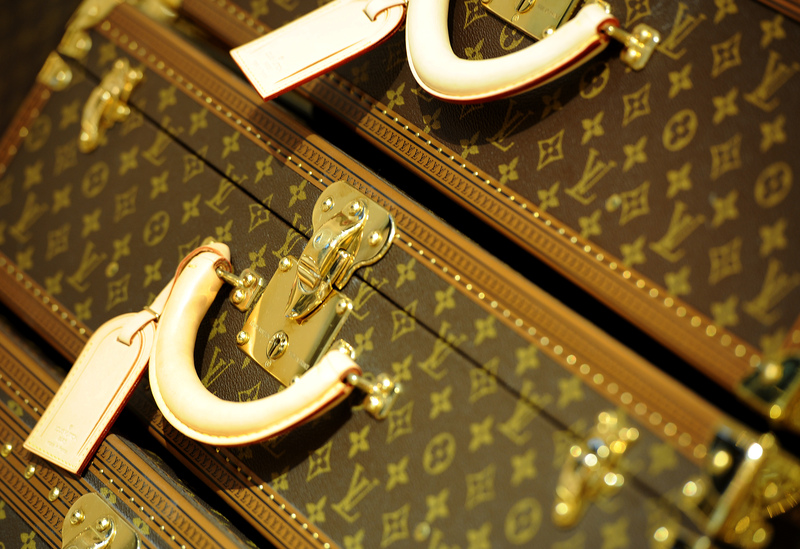 It boasts one of the most recognizable logos in history, but Forbes has now named Louis Vuitton as the world's most valuable luxury brand. The magazine's list of powerful companies, dominated by tech giants such as Apple (No. 1) and Microsoft (2), gave the iconic fashion and leather goods brand a rightful spot in the Top 20, ranking in 14th place between Amazon and Cisco. It also edges out those other companies with its celebrity seal of approval, as evidenced by its the recent Louis Vuitton cruise show, attended by Michelle Williams and Selena Gomez, among others. Earlier this year, Louis Vuitton's parent company LVMH reported a three percent growth, largely due to the luxury house gaining a new and exciting creative direction in the hands of Nicolas Ghesquière. The last quarter of 2014 also saw the LV brand celebrating its Monogram canvas with a limited edition series designed in collaboration with six art and design iconoclasts, including Karl Lagerfeld, Christian Louboutin, and Frank Gehry. "Commitment to excellence, a passion for quality and our capacity to innovate underpin our growth momentum and are all values epitomized by the Fondation Louis Vuitton and its emblematic building inaugurated in October 2014," LVMH chairman and CEO Bernard Arnault said. "In an uncertain economic environment, we can rely on the desirability of our brands and the agility of our teams to further strengthen our leadership in the world of high-quality products." Gucci, the next most valuable luxury brand on the Forbes list, came in at No. 42, followed by Hermès (51), Cartier (55), Coach (63), Rolex (65), Prada (74), and Chanel (85).